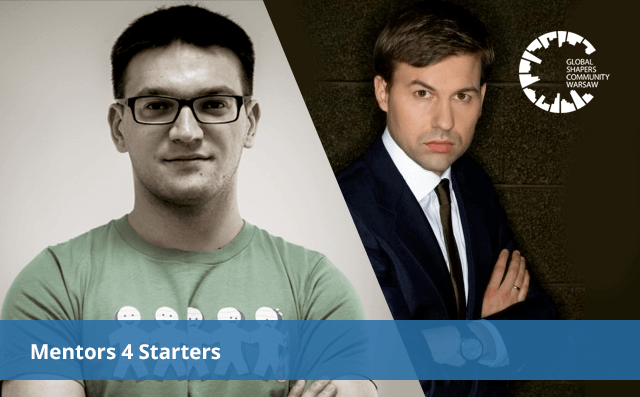 Bartosz Kaluga, national manager of Sintra Consulting, has been a laureate of the prestigious mentorship program organized by the Warsaw branch of Global Shapers, a global initiative of the World Economic Forum. In the pilot mentoring program ‘Mentors4Starters’, last year, 5 mentors – experienced marketing managers took part in a mentoring session with mentees interested in a career in the industry over several months. In May of this year, the Organizer launches a new edition of the program, which aims to give young people a close-up view of the dream industry – by giving individual meetings with authorities in their field – giving them guidance in the future to help them meet their ambitions, Their potential. Mentors in last year’s edition were: Anna Jakubowska (General Manager of Coca-Cola for Poland and the Baltic States); Piotr Pietrzak General Manager – Havas Sports & Entertainment; Wojciech Kostrzewa President and CEO of ITI Group; Wojciech Borowski CEO of McCann Worldgroup; Jacek OlechowskiMedia Entrepreneur CEO, MEDIACAP SA Mentorin. Jacek Olechowski is a mentor of Bartosz Kaluga, a graduate of the Warsaw School of Economics, a graduate of the Global Leadership and Public Policy Program for the 21st Century Kennedy School of Government (Harvard University) and the Georgetown Leadership Seminar 2010. Jacek Olechowski is the key shareholder and the President of the Management Board of MEDIACAP SA, the fastest growing publicly listed group providing media, marketing, market research and public opinion services. At the same time he chairs the Supervisory Boards: Scholz & Friends Warszawa, Internity SA and Rankomat.pl SA. Olechowski is also a member of the board of the Polish branch of the International Advertising Association and the arbitrator of the Ethics Committee. Since 2005 he has been one of the Young Global Leaders nominated by the World Economic Forum. In 2006 he was invited to the Young Presidents Organization. He is also a Vice President of the Board of the Polish Business Council. He is also a winner of the Keep Walking Award from Newsweek Poland (2007). In 2008 he was elected to European Young Leaders by the German foundation BMW Stiftung. Brief Magazine ranked him in 2010 for the 50 most creative people in business. Bartosz Kaluga, born in Szydłowiec, is a graduate of the 2nd L.O. The Adam Mickiewicz University in Skarżysko-Kamienna and Transatlantic MA Program in East-Central European Studies (West Virginia University – Collegium Civitas – University of Tartu) – graduated with honors. A master of international relations and history, specializing in internet marketing for several years. Engaged locally in the Szydłowiec Plow through its own business Massive Marketing and Szydłowiec Portal and a new local project Odrowąż 24. Currently at the stage of creating a new company Sintra Consulting Poland eCommerce Magento, international Internet marketing and advanced programming. Within the framework of the activities, it also introduces to the Polish market the flagship product of Sintra Consulting, the creator of websites and on-line stores, which already has nearly 250,000 users.